Naturalist John Muir conceived of the National Park Service in what he called his "scribble den" at his family home in Martinez. That's also where he wrote his famous books, while his wife, Louisa (Louie) Strentzel Muir, kept their two daughters playing quietly. Muir's home is now a National Historic Site. And you can head there Saturday to celebrate Earth Day and Muir's birthday with live music, free activities and tours of the home. You can see the historic the orchards where Muir hiked with his daughters, and hear songs from the play about Muir's life, "Mountain Days." You might also learn something you didn't know about John Muir. Muir lived in the Martinez home in for the last 24 years of his life. National Historic Site lead park ranger Jim MacDonald says, sometimes people are surprised to see the beautiful 3-story mansion. "People come here and they have a certain view of John Muir," MacDonald says. "They think of him as this guy with a plant press on his back, and a crust of bread in his pocket and that's it, tramping around the Sierras. And they come to this 17-room Victorian house and a lot of people are shocked." The house and the hundreds of acres that surrounded it were owned by Muir's father-in-law, John Strentzel. Strentzel was a prominent rancher and horticulturist. In those days, the Alhambra valley of Martinez was one of the country's premier fruit producers and Strentzel played a large role in the industry. 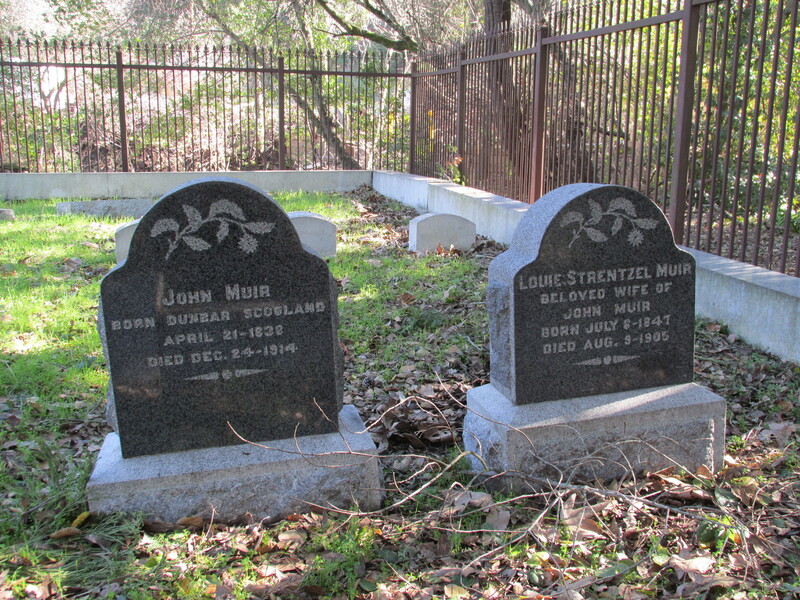 When Strentzel died in 1890, Muir, his wife Louie, and their two daughters moved into the house and Muir took over the family orchard business. He managed the orchards for a decade and proved to be a shrewd businessman. When the railroad approached Muir about building a track through his property, he agreed, on one condition: that the train build a stop at his farm so he could get his produce to market faster. The stop became known as "Muir Station." "He probably got a leg up on other fruit growers," MacDonald says. But Louie thought the business was keeping Muir from his true calling. She convinced her husband to turn over the ranch to his sibling, so he could write. "She loved what he did," Macdonald says, "and she thought it was important for him to tell the world about these beautiful places and try to save these places." Muir didn't enjoy writing, MacDonald says, and thought it was difficult. Louie would encourage her husband to sit down and write in his scribble den, a room with lots of natural light. Louie would refrain from playing the piano while Muir wrote, making sure the house was quiet and free from distraction. Through his books and articles, Muir inspired presidents and congressmen to create the National Park Service and protect wild places like Yosemite and the Grand Canyon. "This is where it all started," Macdonald says, standing in the second-floor study. 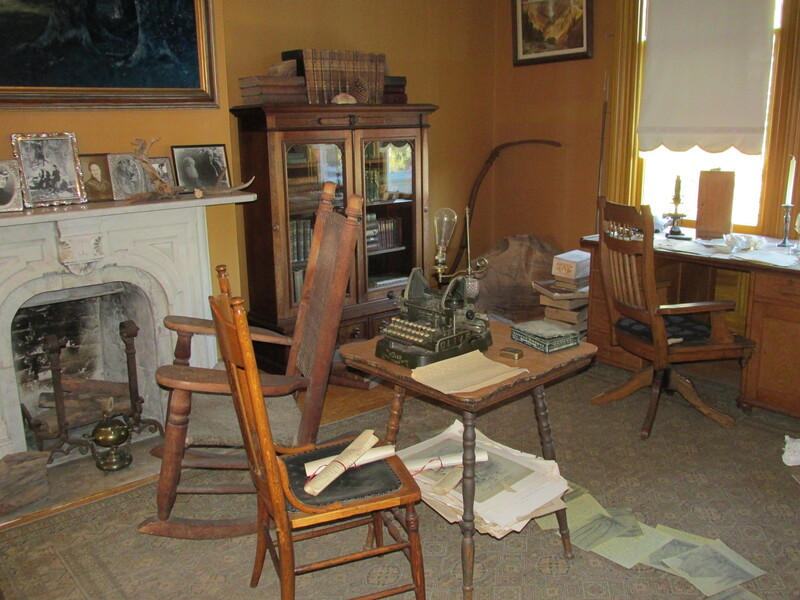 "His books were written in this room; his idea for the National Park Service was in this room. I think -- and I might get some contention from other park rangers -- but I think you are standing right now in the most important place in the National Park Service." It was Muir's shrewd business acumen that let him not only provide for his family, MacDonald says, but fund his own research and travel as he worked to preserve the country's natural treasures. Muir's house and land, and the encouragement of his wife, gave him the support he needed to become one of the country's most successful advocates for wilderness preservation. "When Muir died he was worth five million dollars in today's currency," MacDonald says. "People don't think of him that way." John Muir died on Christmas Eve in 1914, while he was visiting his daughter in Arizona. He was buried on the family land in Martinez. If you want to pay your respects at John Muir's grave, you have to know where it is, but it's just a short drive through a suburban neighborhood from Muir's home. 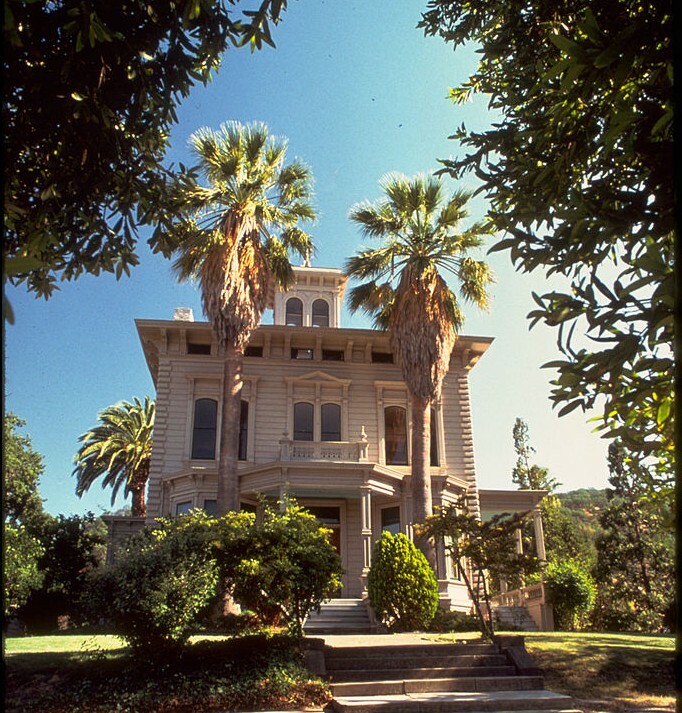 The family donated the grave site to the John Muir National Historic Site in 2000. But the property is surrounded by private homes, and residents are concerned that if the cemetery becomes more well known, the neighborhood will have to cope with traffic, parking, and noise. The Park Service isn't directing visitors to the cemetery until it completes a management plan. The Park is now accepting public comment on the plan, and has been working with residents to address their concerns. Options include shuttling visitors to the site or limiting the cemetery hours. Park superintendent Tom Leatherman says the park is committed to keeping the site open to the public so people can pay tribute to one of America's most famous environmentalists.